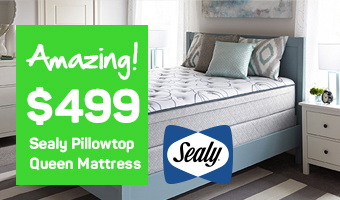 Memory foam mattresses are one of our best-selling options here at Mattress World Northwest. Imagine a responsive, supportive material hugging you as you slumber, providing a true body fit! As Oregon's top memory foam mattress retailer, we can give you the inside scoop on this popular bed type and help you decide if a memory foam mattress is right for your specific needs. NASA initially developed memory foam, made from a substance called viscoelastic, as a comfortable airplane seat back in the 1960s. Today, this high-density material can be found in many consumer products, from high-end mattresses and pillows to athletic footwear and office supplies. Memory foam is sensitive to both temperature and pressure, making it an ideal sleep surface material. Because it reacts to body heat and weight, memory foam instantly molds to your curves, delivering supportive comfort where you need it most. Viscoelastic foam is soft to the touch, highly energy absorbent, and distributes body weight evenly across the bed’s surface. This selective dispersal of pressure helps to eliminate body aches, pains and sore joints. Density and elasticity are two other characteristics of memory foam. The material softens slightly when exposed to higher temperatures, creating a virtual mold of your body. As soon as the body pressure is removed, the foam reverts to its original shape. There are few things as restorative as a good night’s sleep. Let’s look at some of the key benefits of memory foam mattresses, and how they can help both your sleep quality and overall health. No more pressure points: The viscoelastic foam conforms to your body shape, ensuring there are no pressure points or “hotspots,” even as you change positions through the night. Promotes proper spinal alignment: Memory foam also reduces stress on your shoulders and hips, helping to ensure neutral spinal alignment. Less motion transfer:Memory foam absorbs movement, so your partner can toss and turn all night long and you won’t be awakened by the disturbance. With your new bed, those squeaky coil sounds will soon become a distant memory! Prevents and relieves pain: By dispersing body weight evenly and eliminating pressure points, you’ll notice fewer aches and pains in your lower back, joints and other areas prone to soreness. Memory foam beds get rave reviews from people with arthritis, fibromyalgia and chronic back pain. 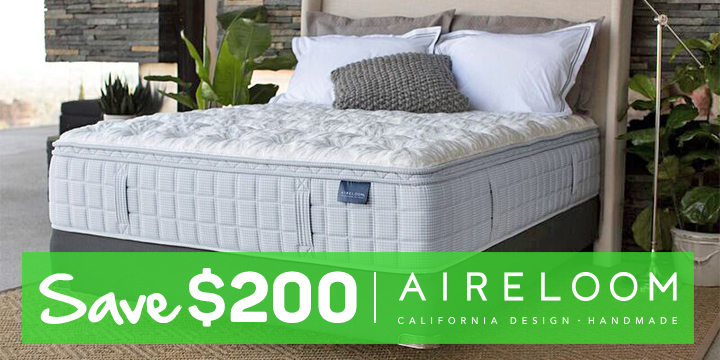 Offers temperature-controlled support: Both open cell and gel-infused memory foam are designed to facilitate better air flow and draw heat away from the body for a cooler sleep environment. Accommodates side, back and stomach sleepers: Memory foam mattresses are incredibly versatile, allowing you to comfortably settle into the sleep position that is most comfortable. Choose a firmness level that offers just the right amount of body-cradling support. No maintenance: Hate flipping your bed and rotating it every so often to avoid sagging? You will never have to perform this maintenance with the best memory foam mattresses, as there are no coils to roll around on and crush. Discourages dust mites: Dust mites are a known allergy trigger in many people. The dense nature of memory foam, unlike traditional spring mattresses, is not hospitable to dust mites, making this material an excellent option. Hypoallergenic: Allergy sufferers will be heartened to learn that memory foam also repels mold, mildew and pet dander. Compatible with adjustable bases: Adjustable power foundations are increasingly popular and are easily paired with memory foam mattresses for the ultimate sleep set up. Today’s memory foam mattresses are engineered to offer supportive comfort for years. A high-density memory foam mattress will have a longer life span and better compression ratings when compared to low-density models. Only 11 percent of consumers who purchased a top memory foam brand reported “premature softening” over the life span of the bed – which is half the number of innerspring mattress owners. The average memory foam bed can last up to 10 years, and the higher quality brands are less prone to sagging compared to innerspring mattresses. Mattress World Northwest understands that sleep preferences differ from person to person, which is why our inventory features memory foam options in various firmness and density levels. Not all memory foam mattresses are created equal. When shopping for your new bed, look at the quality and composition of components. Does the mattress feature gel-infused memory foam for temperature regulation? Is the base made of a high-density support foam? These are important questions you can ask our Sleep Specialists when browsing our Oregon showrooms. Ultimately, a bed that “just feels right” is the most critical factor for most consumers. We invite you to visit one of our 13 mattress outlets to feel the difference in comfort and quality for yourself. 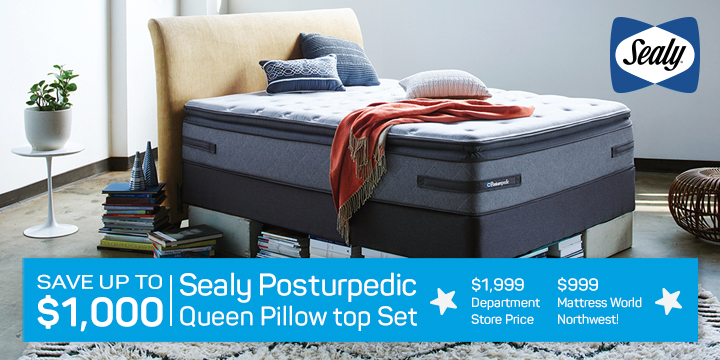 Our expert-recommended top sellers include memory foam options from the Sealy, Simmons, and more! Each memory foam mattress we sell is backed by a Comfort Guarantee. If you are not thrilled with your new bed after testing it out for 90 days, you can exchange it for a different make or model. We take immense pride in offering superior customer service, competitive price points, and the best selection of memory foam mattresses in Oregon. Come in today and discover the benefits for yourself!